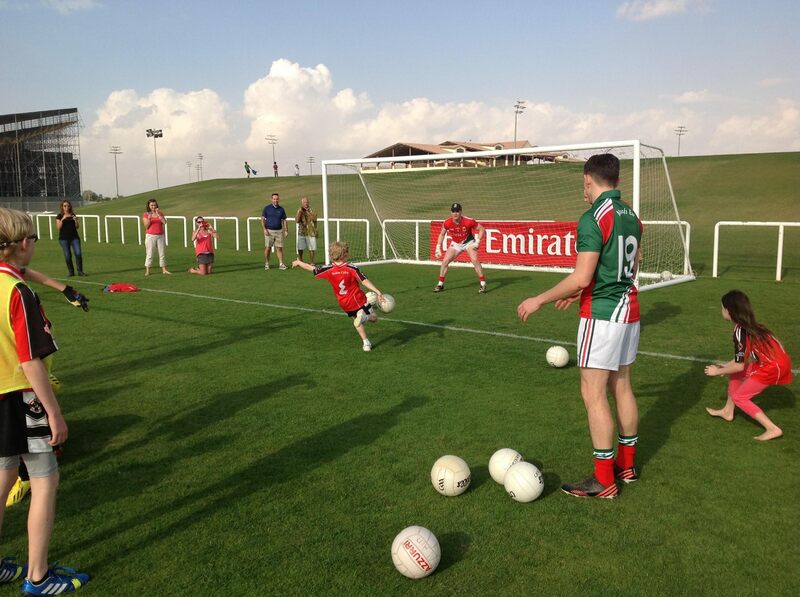 Juvenile Gaelic Football has taken off at a tremendous speed in the UAE. Our primary focus is to develop the game at both club and school level. 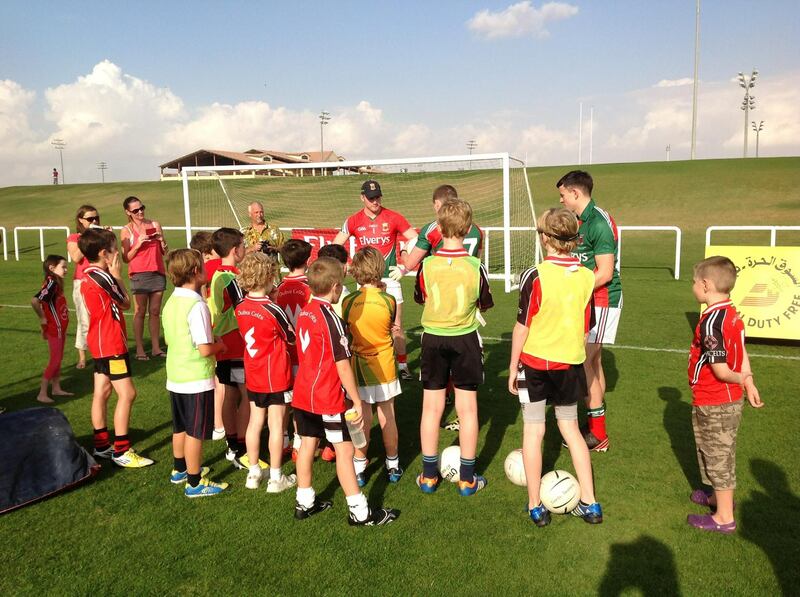 Gaelic Football in many Dubai schools has become the forefront of after school club agendas. 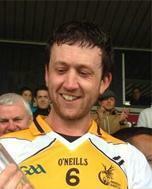 In the space of only a few months there are 5 schools both primary and secondary playing the game of Gaelic football. The majority of children are of non Irish decent all of different abilities. Since Gaelic Football has kicked off in schools many of these children have had the opportunity to compete against other schools and in different tournaments including the GGG in Dubai and Abu Dhabi. It has been a real pleasure to watch these young children part take in the game of Gaelic football and see them develop their kicking , hand passing and soloing skills and to continue to go from strength to strength. In addition not only are these children learning about the game of Gaelic football but also about the Irish culture and the passion that is embedded within the GAA. The number of Irish and their families emigrating all over the globe has increased and never has there been a greater time to expose our Irish identity and culture through our cluichÃ­, ceol agus craic to the world. There is an opportunity for all young boys and girls, not just Irish to develop the skills of Gaelic football and hurling. Our Gaelic games have the skill sets that can be incorporated from many other sports including basketball, AFL, hockey, rugby, soccer to name but a few and we, as a community, have the potential to develop our unique games to all children in the region. Through a progressive relationship between the Club, the parents and the children, each club here in the Middle East has the potential to expand our games and identity. Each Middle East club has or is in the process of forming a juvenile section to their clubs. Abu Dhabi Na Fianna, Dubai Celts, Al Ain and Arabian Celts conduct weekly coaching sessions for children ranging from five to fourteen years old. Due to the high influx of physical education teachers in public and private schools around the region, many schools are incorporating our native games into their curriculums. For example, the students of Jumeriah Primary in Dubai, under the tutelage of Hollie Murphy play regular games as part of their after school programs. This enables Emirati and other expat students to play our native games. To expose and develop our native Games to the young Irish Diaspora and children of different cultural backgrounds in the region through inclusive and progressive structures. To adequately inform parents and to coach young children in the skills and ethos of our national games in a fun and healthy way. The coaching course of the GAA Fun Do modules focus on the key motor skills that are associated with our native games. Gaelic Games unites the skills of rugby, Australian rules football, soccer, athletics and gymnastics to name but a few. The skills of catching, kicking, jumping along with incorporating the mental, physical, social and psychological aspects of the young athlete as well as the ABCs (Agility, Balance, Coordination and speed) of movement to develop your child into an all round athlete.